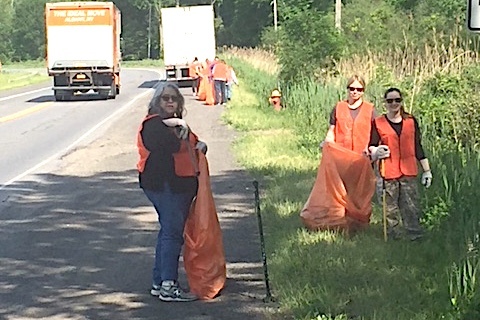 On Wednesday, May 30, 2018, the employees of the CSEA Employee Benefit Fund (EBF) gave back to their community by participating in the Adopt-A-Highway Program. The EBF adopted the Old Niskayuna Extension road near the Albany Airport that is used by many of its employees as part of the walking loop in the EBF’s wellness program. Across the country, thousands of communities have worked to keep America beautiful by adopting stretches of highway and pledging to keep them litter-free. 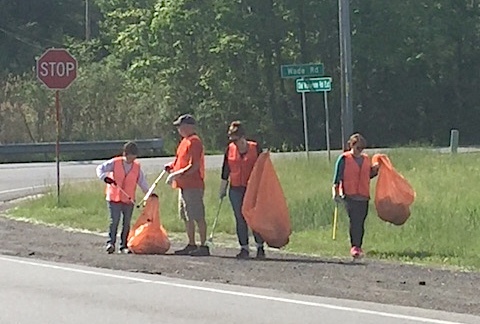 Legislation to formalize New York State's Adopt-A-Highway Program was passed in 1990 to encourage individuals or groups to clean up highway roadsides and to recognize those volunteers who do. Participation in the program helps to foster a sense of community ownership of the roadway as well as a sense of pride in its appearance. EBF Chairman Danny Donohue said, "CSEA is an important part of our community. This program is just one small example of how we try to give back and show the involvement and commitment of our great union."